How Old Is Mrs. Claus? Mrs Claus is 1,137 years young! It isn't considered polite to ask a lady her age. But I might be able to tell you how old she is. How Old IsSanta Clausright now? You want to know how old Mrs. Claus is right now? You want to know what age she is? Well, I don't like to ask her how old she is. After all, if someone asked me my age I'd be even grumpier! 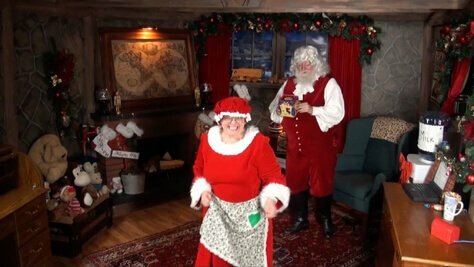 The short answer is that Mrs. Claus is 1,137 years old. The longer answer is that Mrs. Claus is just 1,137 years, 3 months, 27 days, 22 hours and 19 minutes old! Exactly How OldIs Mrs. Clausright now? Mrs. Claus started life as a normal little girl. Just like Santa, she became well-known for helping others. She was also known for standing up for women. Santa and the Christmas Spirit won her heart as she got older. I think it is her Christmas Spirit that keeps her ageless. Even though I'm a grumpy elf, Mrs. Claus means the world to us elves. But don't tell her I said that; I'm supposed to be a grumpy elf!